This was an amusing read; this is a book for children ages 4 to 10. 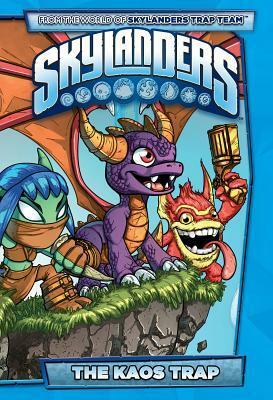 The book is full of adventures for the Skylander heroes as they protect the Skylands and thwart the evil Kaos. This is a great book for children learning how to read, the dialogue is simple and the graphics are colorful and captivating. The characters are very amusing; so I definitely recommend this book to parents who want to get their little ones into reading.